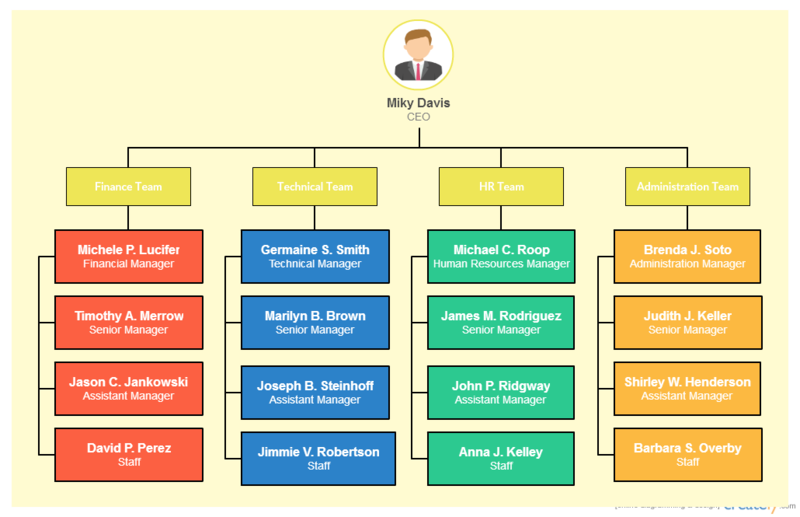 In one of our previous articles, we discussed organizational chart best practices. Now let’s take a look at types of organizational charts structures which can be used in different scenarios. And you don’t have to worry about creating them too. Our organizational chart software supports all the types mentioned below. 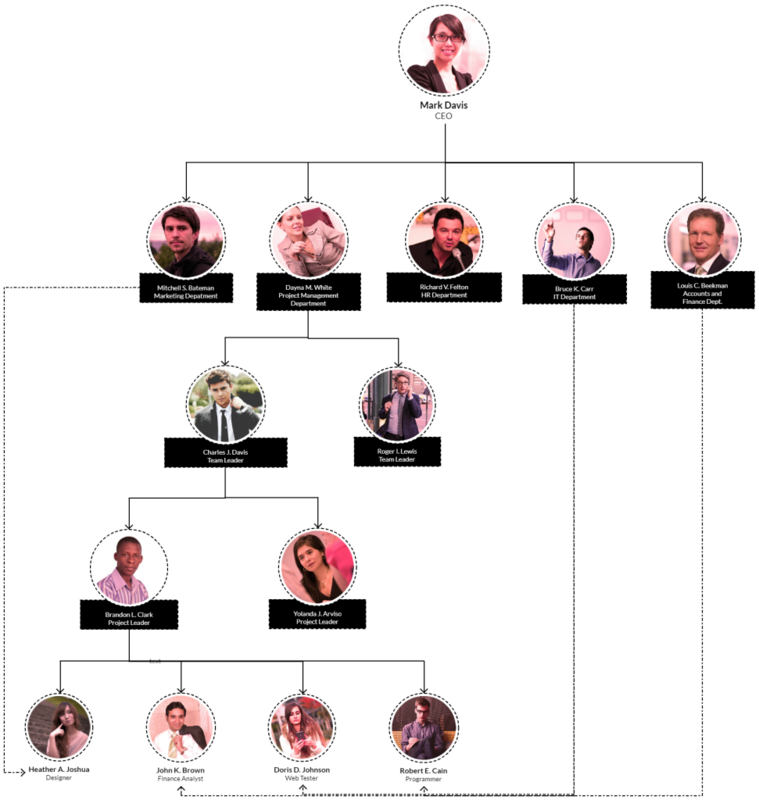 The hierarchical model is the most popular organizational chart type. There are a few models that are derived from this model. Function – employees are grouped according to the function they provide. The below image shows a functional org chart with finance, technical, HR and admin groups. Geography – employees are grouped based on their region. For example in USA employees might be grouped according to the state. If it’s a global company the grouping could be done according to countries. Product – If a company is producing multiple products or offering different services it can be grouped according to the product or service. These are some of the most common factors, but there are many more factors. 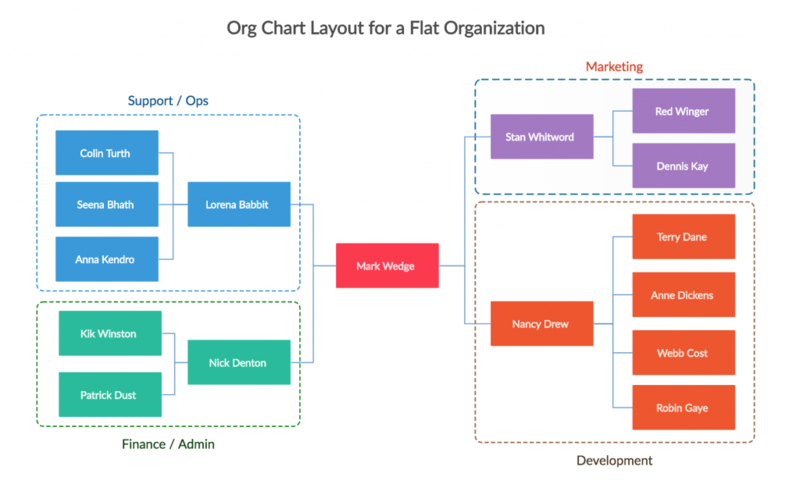 You can find org chart examples for most of these types in our diagramming community. This is the dominant mode of organization among large organizations. For example Corporations, Governments, and organized religions are hierarchical organizations with different levels of management, power or authority. In a Matrix organizational structure, the reporting relationships are set up as a grid, or matrix, rather than in the traditional hierarchy. It is a type of organizational management in which people with similar skills are pooled for work assignments, resulting in more than one manager to report to (sometimes referred to as solid line and dotted line reports, in reference to traditional business organization charts). For example, all engineers may be in one engineering department and report to an engineering manager. But these same engineers may be assigned to different projects and might be reporting to those project managers as well. Therefore some engineers might have to work with multiple managers in their job role. This is an organizational chart type mostly adopted by small companies and start-ups in their early stage. It’s almost impossible to use this model for larger companies with many projects and employees. The most important thing about this structure is that many levels of middle management are eliminated. This enables employees to make decisions quickly and independently. Thus a well-trained workforce can be more productive by directly getting involved in the decision-making process. This works well for small companies because work and effort in a small company are relatively transparent. This does not mean that employees don’t have superiors and people to report. Just that decision making power is shared and employees are held accountable for their decisions. So in summary, when deciding on the suitable organizational chart, it is important to have an understanding of the current organizational structure of your company. Network organizational structure helps visualize both internal and external relationships between managers and top level management. They are not only less hierarchical but are also more decentralized and more flexible than other structures. The idea behind the network structure is based on social networks. Its structure relies on open communication and reliable partners; both internal and external. The network structure is viewed as agiler than other structures because it has few tires, more control and bottom flow of decision making. Using a Network organizational structure is sometimes a disadvantage because of its complexity. The below example of network org chart shows the rapid communication between entities. Within a divisional structure, each organizational function has its own division which corresponds to either products or geographies. Each division contains the necessary resources and functions needed to support the product line and geography. Another form of divisional org chart structure is the multi-divisional structure. It’s also known as M-form. It’s a legit structure in which one parent company owns several subsidiary companies, each of which uses the parent company’s brand and name. The main advantage of the divisional structure is the independent operational flow, that failure of one company does not threaten the existence of the others. It’s not perfect either. There can be operational inefficiencies from separating specialized functions. Increase in accounting taxes can be seen as another disadvantage. Line organizational structure is one of the simplest types of organizational structures. Its authority flows from top to bottom. Unlike other structures, specialized and supportive services do not take place in these organizations. The chain of command and each department head has control over their departments. The self-contained department structure can be seen as its main characteristic. Independent decisions can be taken by line officers because of its unified structure. The main advantage of a line organizational structure can be identified as the effective communication that brings stability to the organization. Team-based organizational structures are made of teams working towards a common goal while working on their individual tasks. They are less hierarchical and they have flexible structures that reinforce problem-solving, decision-making and teamwork. Team organization structures have changed the way many industries work. Globalization has allowed people in all industries around the world to produce goods and services cooperatively. Especially, manufacturing companies must work together with the suppliers around the globe while keeping the cost to a minimum while producing high-quality products. The ones shown above are the most commonly used org chart structure types or organogram structure types as some call them. But there are plenty more models which have various advantages and disadvantages based on the situation and organization. 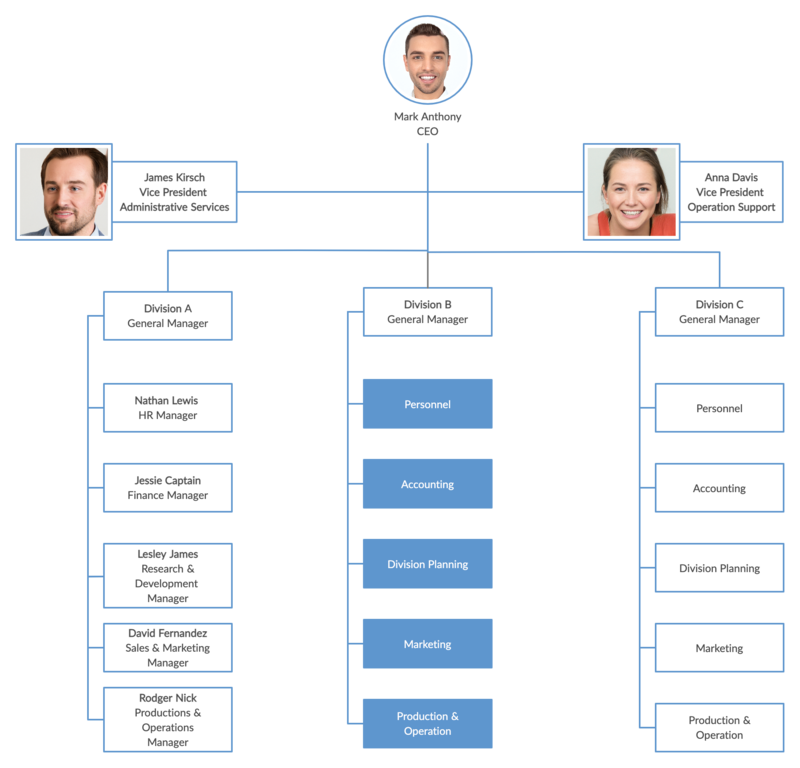 You can easily experiment with different models using our org chart software. In a future article, we’re hoping to talk about the advantages and disadvantages of using organizational charts. Stay tuned for that article and hope you enjoyed this one. Have questions? Feel free to ask them in the comments or you can reach to us via our social media channels. Which of the organizational type does Toyota belong to? 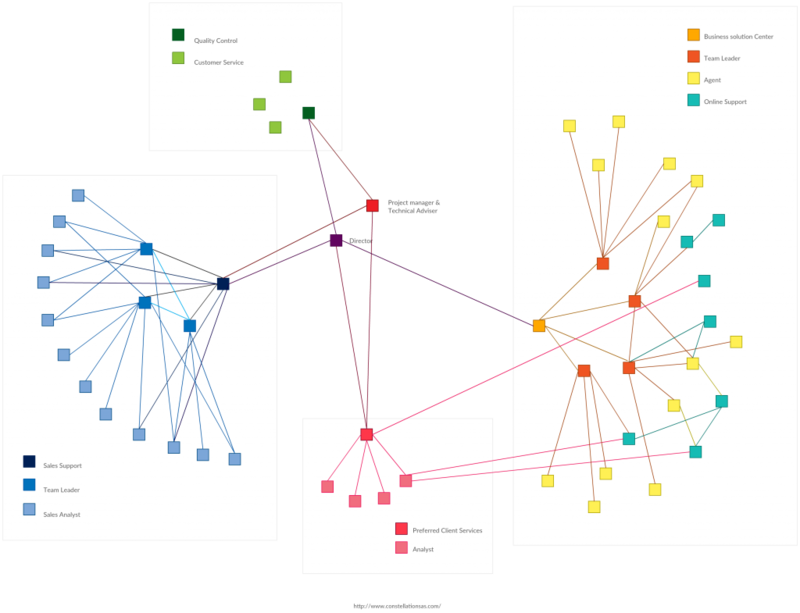 which type of the mentioned organization charts is useful for an eCommerce business? Im doing MBA in HR. Can someone share the organizational structure of HR department of a large IT Company. 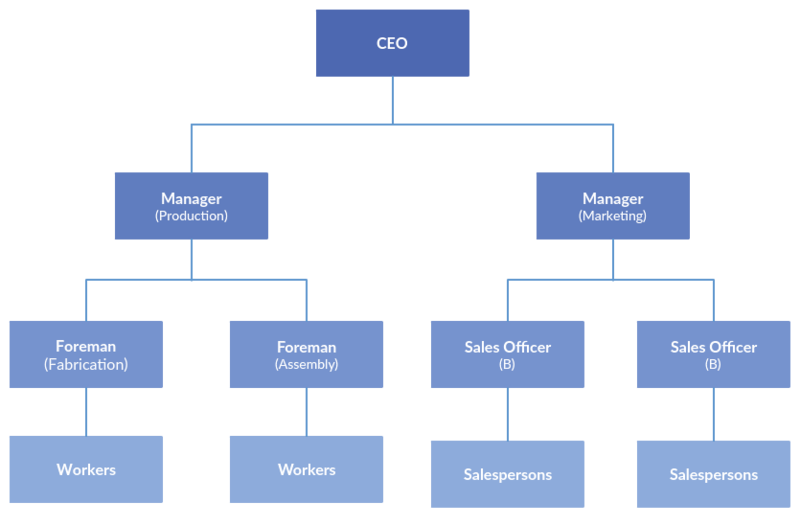 the organizational structure of an IT company is basically Flat! Back in the day (yep, I am showing my age) I used to dread creating organisational charts. With the technology available now, it’s so much easier to create even the most complex of charts, no matter which of the above options best suits your business. Is there a post on the advantages and disadvantages of using the above mentioned organizational charts ? Please direct me to it, THanks. your chart is very helpfull for students,and your article with helping material for every professional person. 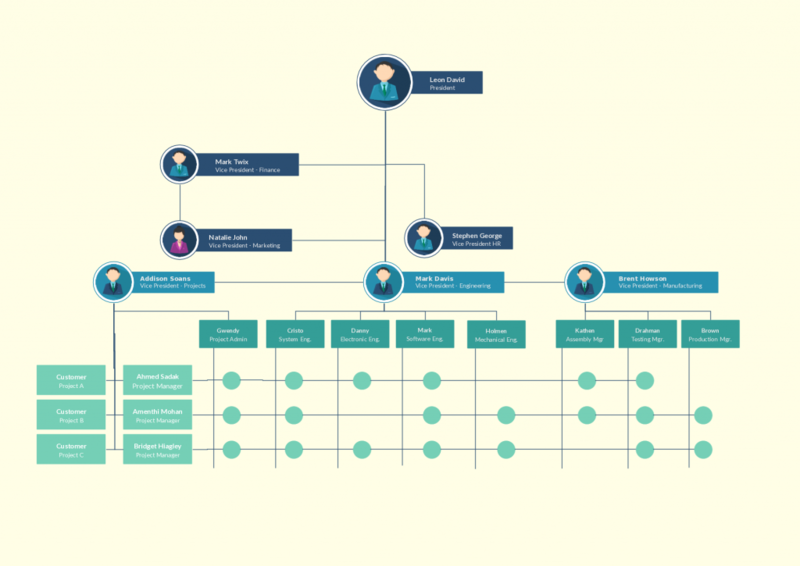 What factors determine the type of organization chart to use??? of the type of chart, positions, levels, functions, process and qualities in the organization. Can you please help me about the type of content that should be covered in this?